Arsenal will be looking to come home with a positive result from the first leg of our Europa League last-32 clash with Ostersunds in Sweden this evening. 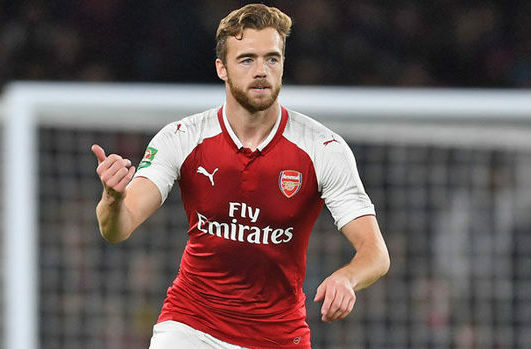 Arsene Wenger has handed Calum Chambers a start in defence as he lines-up alongside Hector Bellerin, Shkodran Mustafi and Nacho Monreal at the back. Ainsley Maitland-Niles gets a chance to impress in his preferred central midfield role alongside Mohamed Elneny and Alex Iwobi with Granit Xhaka named among the substitutes. Mesut Ozil starts along with Henrikh Mkhitaryan while Danny Welbeck leads the line up front with the likes of Reiss Nelson and Eddie Nketiah on the bench.